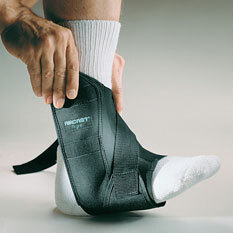 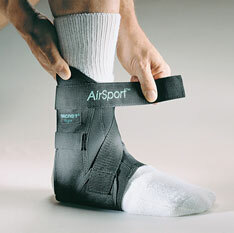 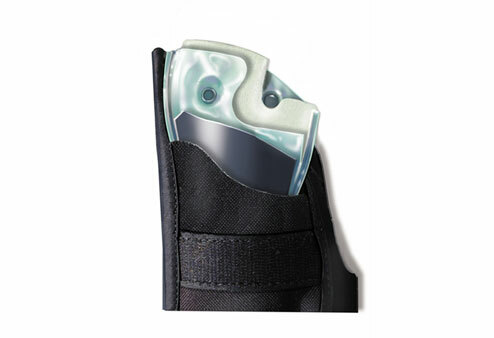 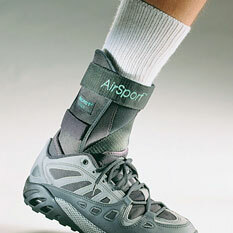 This rear-entry ankle brace provides both a high level of support and a free range of movement. 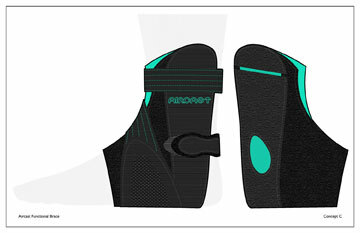 These semi-rigid contoured stirrups are lined with foam-filled air cell cushions to offer comfortable yet firm support for athletes prone to ankle sprains. 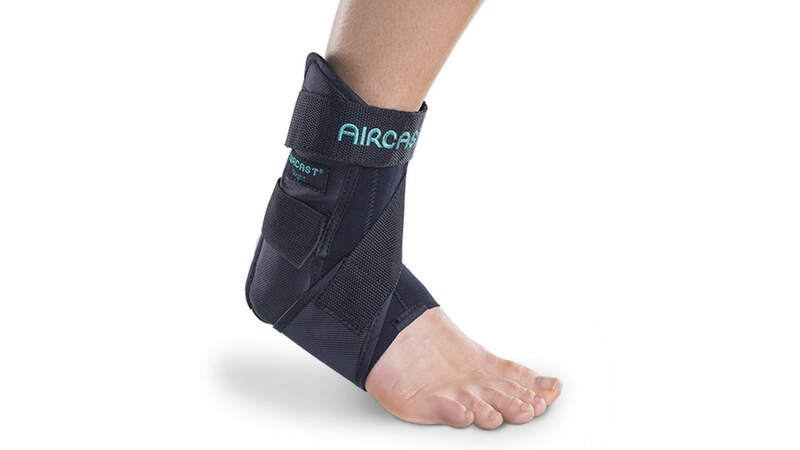 The low-profile, lightweight design reduces swelling through pulsating compression, allowing the ankle near-unrestricted movement as a patented cross-strap prevents over-rotation of the foot during sports activities.